Lacey Sturm has been busy on the road with Shinedown through much of July, and it’s a bill that excites her. 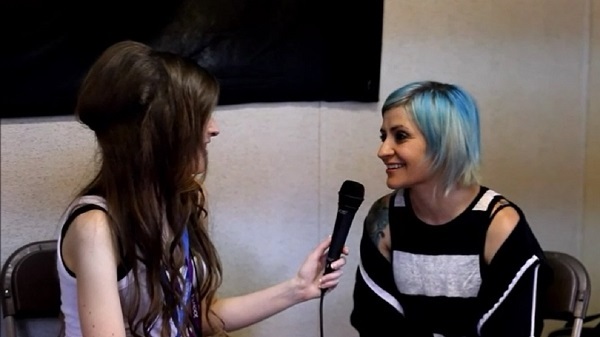 Sturm has fond memories of touring with Shinedown years ago in Flyleaf, and she’s proud of how they’ve grown. “I think it’s so good to have an honest song you can relate to, but to watch them this time (on tour) signing about how important it is, especially if you’re a praying person and thinking, ‘Oh, I’m doing all this good by being religious,’ but he’s like, ‘But how did you love?’ That’s the real question,” she said. Sturm is all about love and hope. Her message is a strong one– especially in the wake of Chester Bennington and Chris Cornell committing suicide this year.